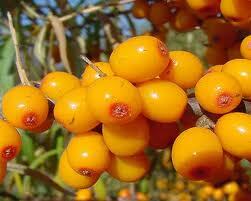 Seabuckthorn Berry CO2 Total, Lithuania is primarily composed of fatty acids like palmitic acid at no less than 15 % and palmitoleic acid at around 16 %. Oleic acid is also present at a minimum of 10 %. The color ranges from a rich red to a pale orange. Though possible, it is not practical to completely remove the color. The color is a result of minor components.